According to the Workforce Purpose Index, the global survey Aaron Hurst (author of The Purpose Economy) conducted in partnership with LinkedIn in 2016, purpose orientated companies are more profitable than those that aren’t. And employees who have a high purpose orientation consistently outperform those who don’t. The case for a purposeful approach to work is clear! 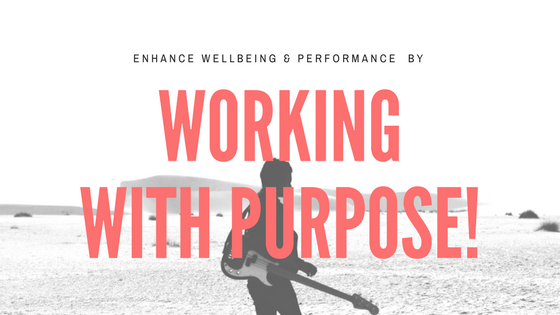 As part of a wider program focused on injecting purpose into corporate organisations, we are taking to the business community to talk about how purpose impacts both the bottom line and well-being. Our series of Lunch and Learns has begun. Our first one was with Pivotal Labs, a technology company resident at Dogpatch Labs, Dublin. 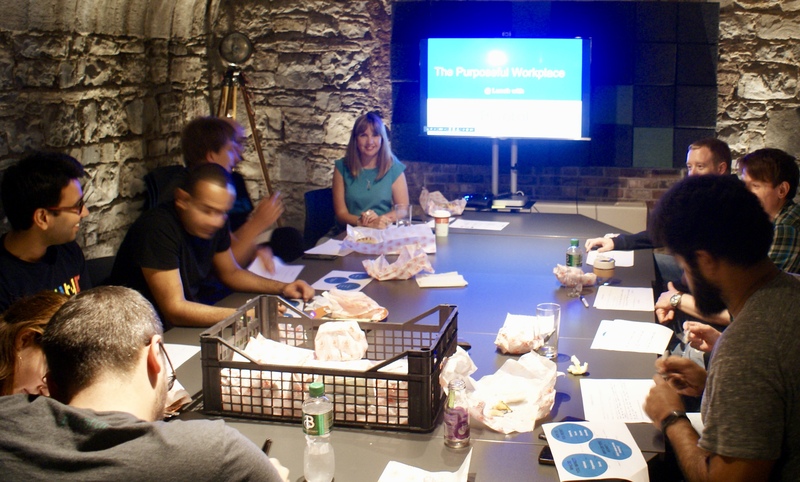 Ten employees ranging from Product Managers, engineers and technology support specialists attended the interactive session, which was held in Dogpatch Labs, during which research evidencing that purpose is becoming as important to businesses as innovation was presented. At the end of the session attendees created their purpose statement. Acting like an elevator pitch at work, this statement can be used to lead new initiatives and enhance communication. Drafting it will employees be absolutely clear on what they want out of work and how their strengths and values are aligned to the work they do and the company in which they work. In a HRB article last year the author spoke about the importance of having a declaration of purpose; this statement is that. The key takeaways of the lunch and learn session included the indicators and drivers of the 4th economy, understanding the link between purpose, well-being, employee engagement and innovation; an introduction to some of the tools from the new Purposeful Workplace Consultancy, including the Purpose Statement and the Purposeful Innovation Compass. If you’re interested in learning about any of the below topics, email janice@greatlifedistillery.com to arrange a session in Dogpatch Labs.